The Romantic Times was a whirlwind event that was EPIC. I made a lot of new friends, hopefully new fans and brought home tons of swag (aka goodies). On Wednesday, May 14, we stood in line for the Goody Room and Promo Alley and went to the RT Books Reviewed Welcome Party. I went to the Rockin Street Teams panel and hope to do a short blog on that soon. 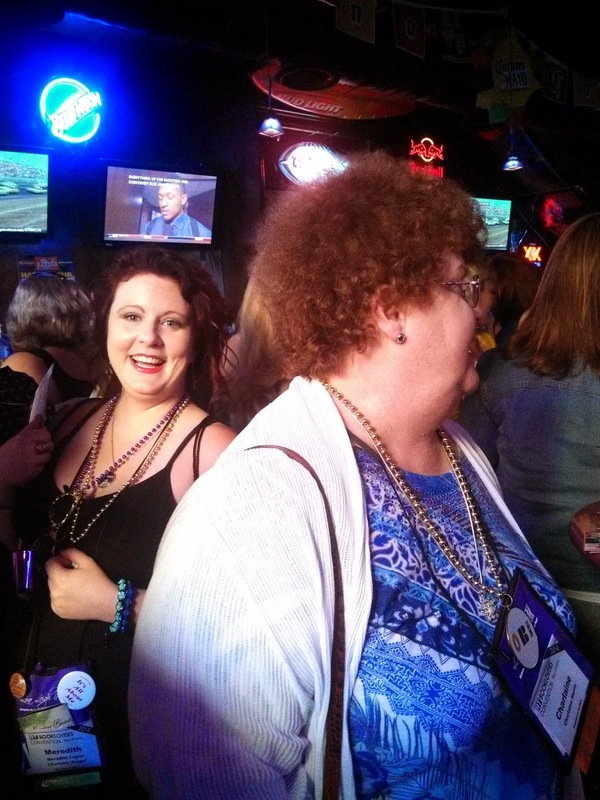 That evening was the event sponsored by authors such as Heather Graham, Eileen Dreyer, Jade Lee, Sabrina Jeffries and more ~ Pirates, Scalawags & More: The Krewe of Notorious Scribes took over the Grand Oaks Mansion at Mardi Gras World. At the Grand Oaks Mansion, we went to each author to get their letter on our “scavenger hunt” cards before taking a tour of Mardi Gras World and then dinner. 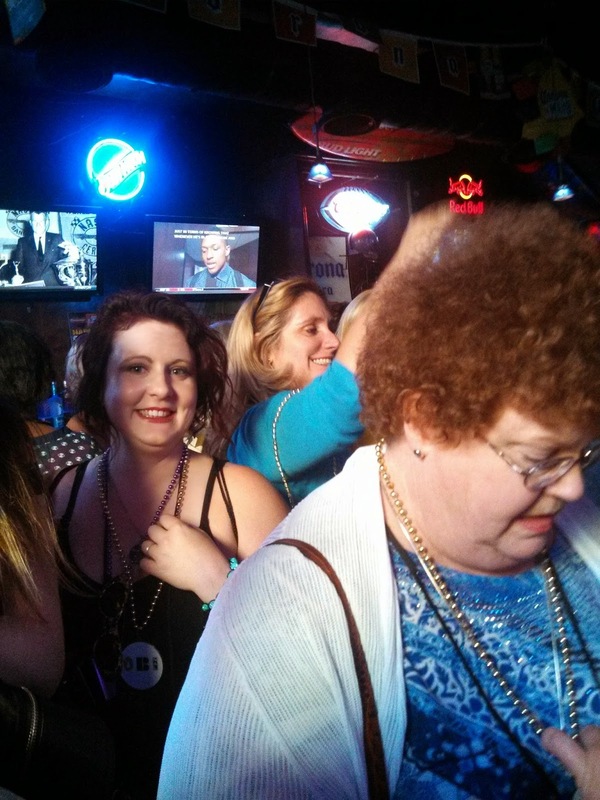 On Thursday, May 15, we checked in for the Pub Crawl, hung around Club RT for a bit and then went to Bad Boy Bingo. While neither Meredith nor I bingo’d, the winners received a prize but also had to read “naughty sections” from various sponsoring author’s books. A cover model showed up, and from that point on, the winners elected to have him read those sections. The other evening events included Kensington’s Karmic Carnival AND the Pub Crawl! At the first pub, Meredith turned around and demanded that I get my camera ready, and I’m like – why. “Just do it,” she smiled. 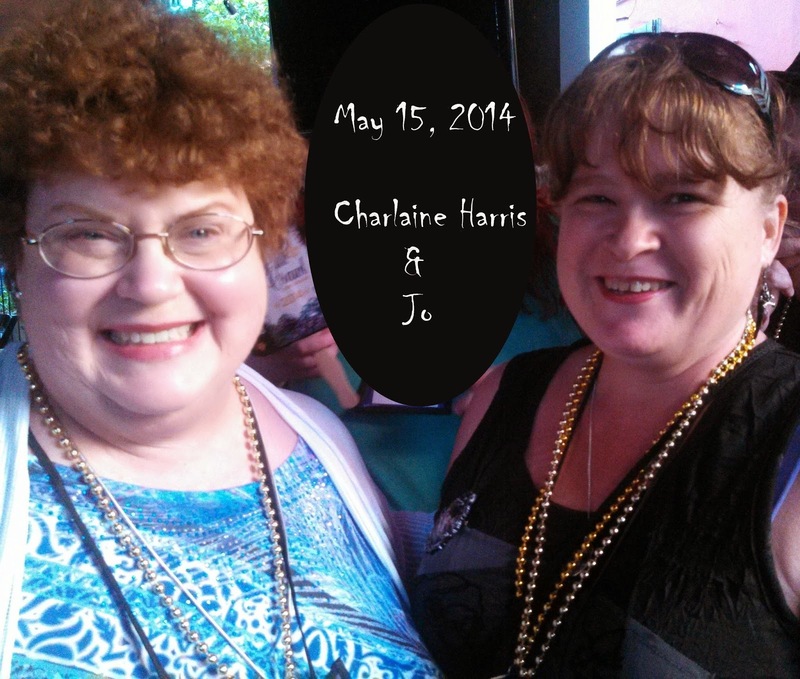 A few more steps, and wala – Charlaine Harris! 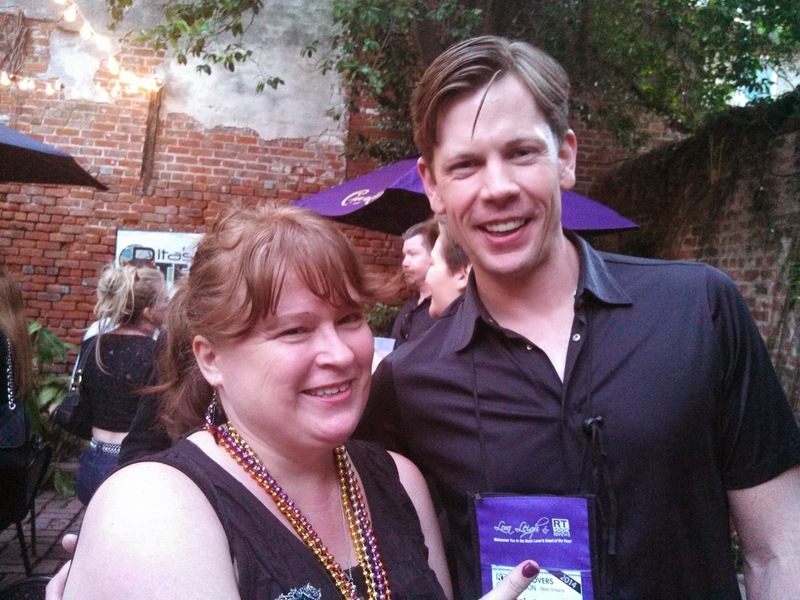 At first, Meredith slipped up behind the author of the Sookie Stackhouse (True Blood) series for a classic and hilarious photo bomb. Then someone graciously offered to take our pictures with her. And many more wonderful authors, including our own Rhonda Leah. 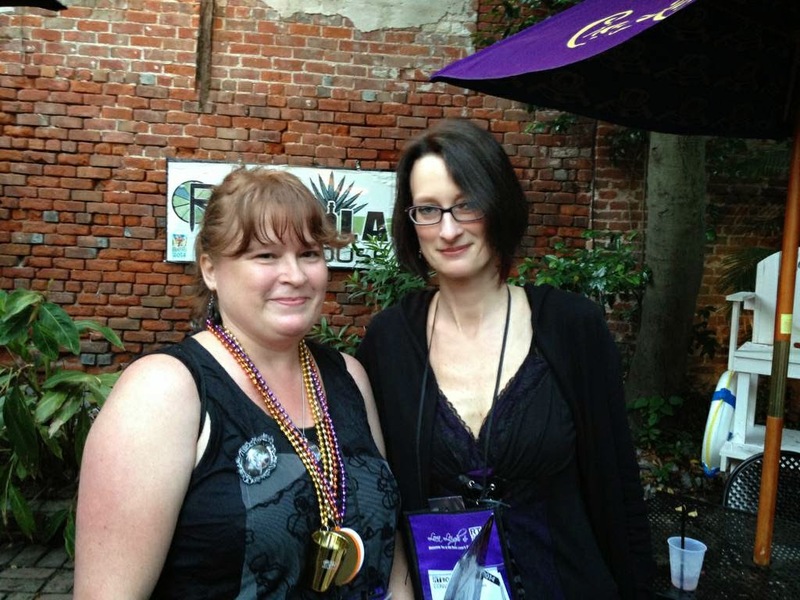 After the pub crawl, we partook of desserts and drinks at the Samhain Saints & Sinners Party. 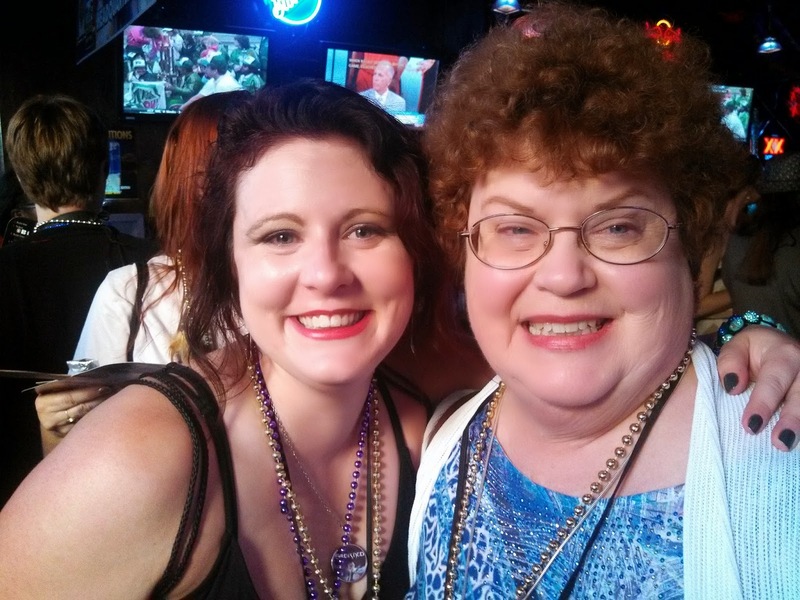 On Friday, May 16, we all attended the panel Some Assembly Required: The Whedonite’s Guide to Characterization (panel) and Avon’s Krewe of Muses, where we obtained books and had them signed by various authors including Jeaniene Frost, Kim Harrison and Kerrelyn Sparks. That evening was Heather Graham’s Mardi Gras Magic & Mayhem, Dinner & Dance Party. While we dined, Heather put on a dinner show and held a Costume Contest. Since I had dressed in costume, my angel patrol (Meredith and Nancy) encouraged me to enter. I knew I wouldn’t win because there were many stunning costumes, but I had fun just participating. My 15 seconds of fame in the costume contest line can be seen here http://new.livestream.com/ReadersEvent/events/2997739. It's the 3rd video from the top, and I am contestant # 38 and had a blast! Saturday, May 17 was the Giant Book Fair. I considered my participation as a success. I sold 4 books and passed out a lot of promo items. 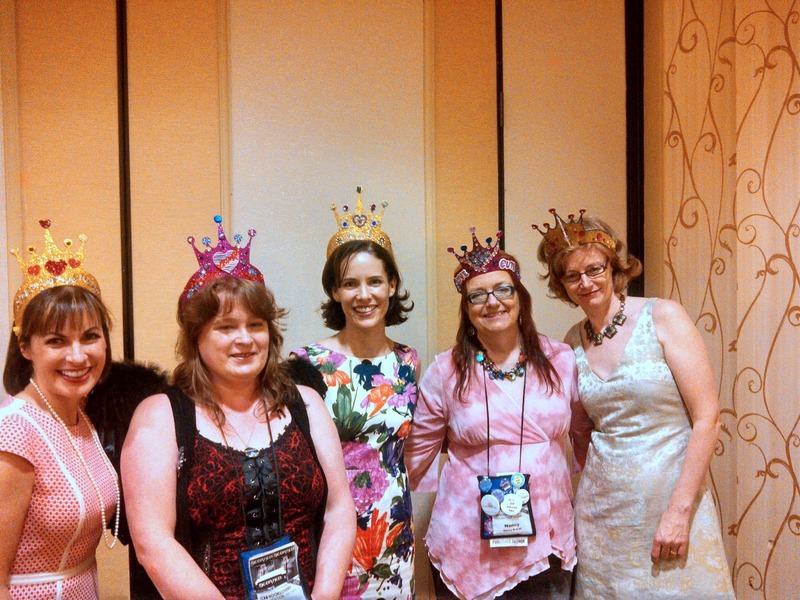 After the book fair, we went to a session entitled: Get Your Tiara On. Meredith, Nancy and I enjoyed a bit of down time making tiaras, sipping tea and eating cookies! One of the last events of the day was the FAN-Tastic Day Party. Ever been to a white sale? Well, this is similar except that everyone attending was happy and polite and not one bit mean or grumpy! Authors passed out the swag (books, bookmarks, mirrors, pens, and more), and one lady from Australia took as much of my stuff as I could give her! The last even of the RT Convention that we attended was Harlequin’s Dance Party. We didn’t stay long as we were all tired, but the room decorations and sweets were a nice treat. For insight as to RT’s panels, workshops, etc, visit http://www.rtbookreviews.com/rt-daily-blog/tagged/convention. Congratulations to the winner of my blog contest. Cristy Cundiff won The Scorned Necklace. A huge thank you to all who signed up for my “once in a blue moon” blog!